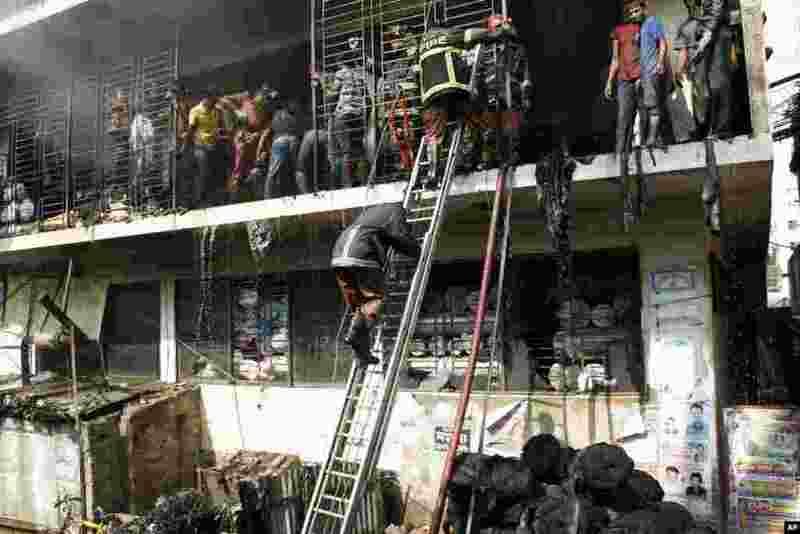 A fire at a garment factory outside Dhaka was brought under control with no deaths. A day earlier, a fire at another factory killed more than 100 people. 1 Bangladeshis protest outside a garment-factory where a fire killed more than 100 people Saturday on the outskirts of Dhaka, Bangladesh, November 26, 2012. 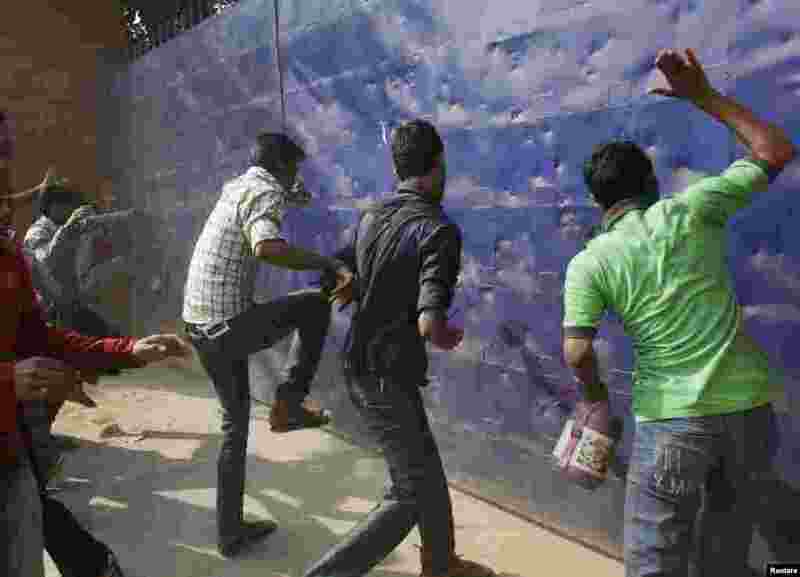 2 Workers try to break the gate of a garment factory during a protest against the death of their colleagues after a fire in another garment factory killed more than 100 people, in Savar, Bangladesh, November 26, 2012. 3 Bangladeshi firefighters and workers try to douse the fire at a garment-factory in Dhaka, Bangladesh, after a similar incident killed more than 100 people on the outskirts of the city, November 26, 2012. 4 Bangladeshi officials inspect a garment-factory where a fire killed more than 110 people Saturday on the outskirts of Dhaka, Bangladesh, November 26, 2012. 5 Relatives mourn the death of a garment worker killed in a fire on the outskirts of Dhaka, Bangladesh, November 25, 2012. 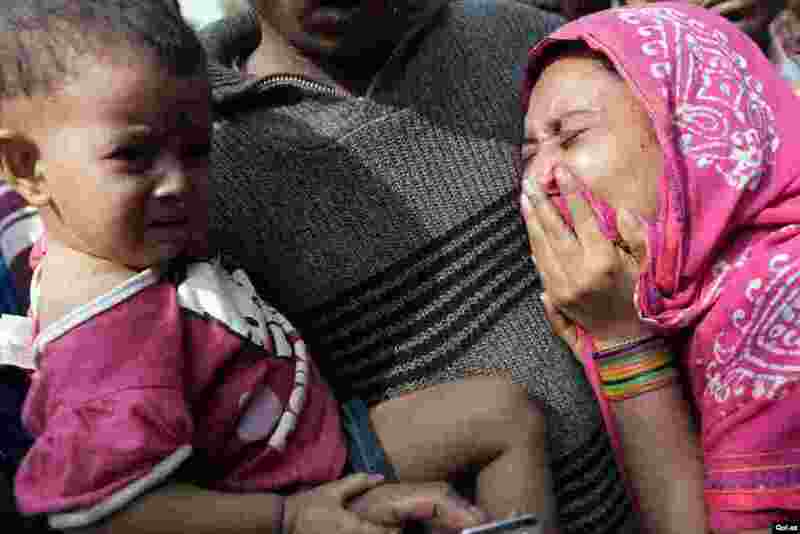 6 People console a woman whose relative was killed in a fire at a garment factory outside Dhaka, Bangladesh, November 25, 2012. 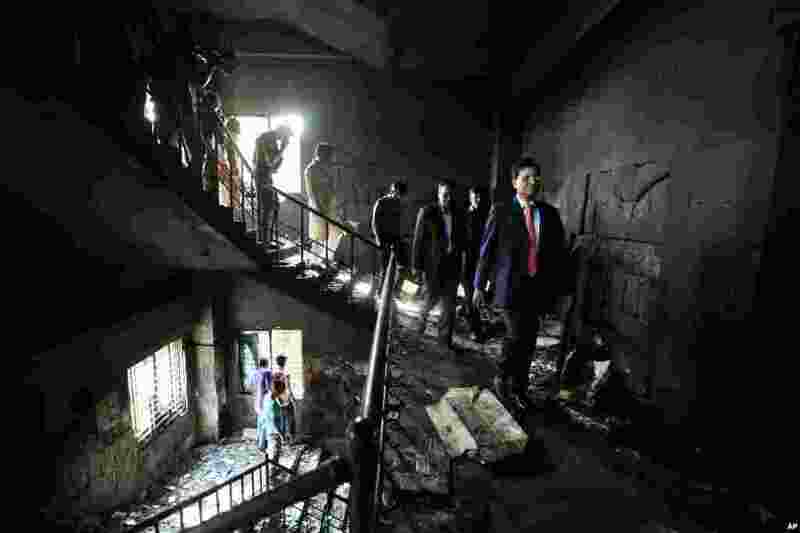 7 People look at a burnt garment factory outside Dhaka, Bangladesh, November 25, 2012. 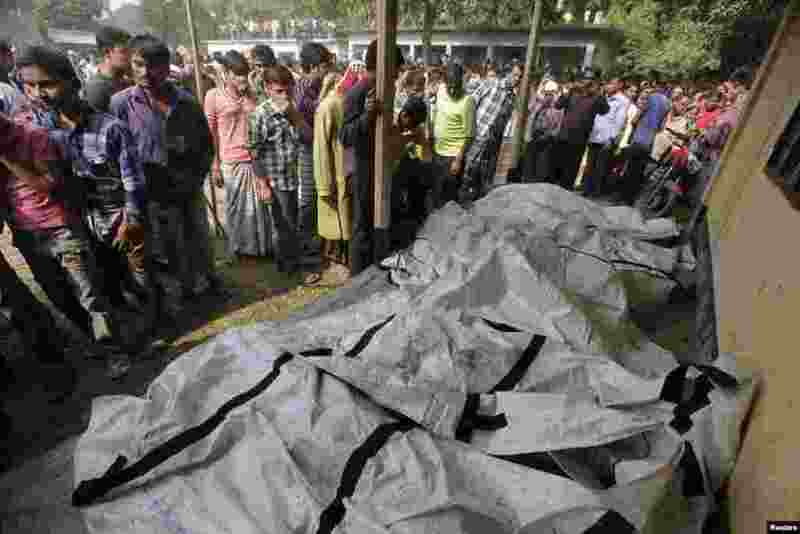 8 Bodies of dead garment workers are seen on the floor of a local school after a fire at a garment factory on the outskirts of Dhaka, Bangladesh, November 25, 2012.